Offering scrumptious food and beverage options coupled with outstanding views of the Iconic Sydney Harbour, these Sydney Harbour dining cruises let them pick a time of day and enjoy the dining experience as they cruise the lovely harbour - truly a can't-miss way to delight their palate! Whether the day begins with a Sunday Breakfast cruise, the delights of a delicious Seafood Buffet lunch, don the monocle to sip High Tea, or enjoy a cocktail as the late afternoon sunshine echoes throughout the harbour, each experience will be immensely satisfying. 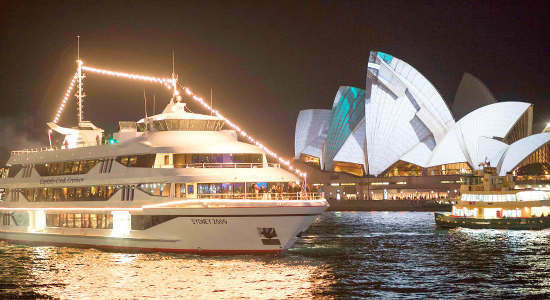 If evenings are more their thing, guests may hop aboard the MV Sydney 2000, one of Sydney's most prestigious cruise ships, for a delightful dinner cruise that offers a wide range of both entertainment and dining packages. Whatever type of Sydney Harbour Cruise experience you want to gift someone, we can help you make it a trip to remember for everyone involved! 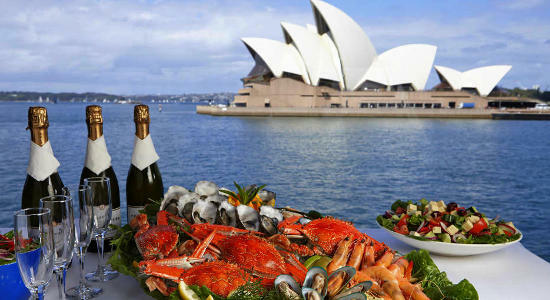 Sydney's picturesque harbour provides the ideal venue for a buffet lunch cruise. Enjoy stunning views and a comprehensive commentary on the water. There are few better lunch time venues than Sydney's stunning Harbour! This gift allows them to enjoy a 2-course meal from the upper deck of a cruise boat..
Our most popular dinner cruise - step aboard and dine and dance the night away on the waters of Sydney's iconic Harbour - a must for special occasions! The ultimate dining experience in Sydney! 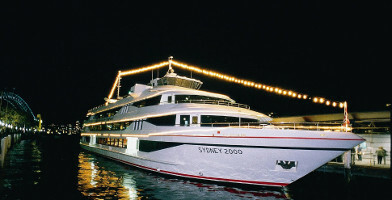 Enjoy priority boarding, 6 course degustation menu, drinks and a 2.5hr cruise on the famous Sydney Harbour. Sydney's most prestigious cruise ship takes you out onto the beautiful waters to soak in the amazing panorama that only a Sydney Harbour sunset can provide.